an english anglophone Cameroon education system modeled after the british anglophone system. These models were put in place by the colonial masters - Great Britain and France. The education in Cameroon is therefore not bilingual in the true sense of bilingualism as individuals only master their colonial system with little cross interaction with the other system even when both systems are on the same campus. While many institution in Cameroon claim to be bilingual, they merely comprise of an independent none interacting anglophone and francophone system on one campus with graduates learning little to nothing from the other system. The Anglo-Saxon system ( roughly 20% ) is practiced on the British colonial territory consisting of the South West and North West provinces of Cameroon and a few schools in Douala and Yaounde to carter for the anglophone population in the city area. The francophone system (80%) is practiced by the remaining eight (8) provinces of Cameroon. These systems were put in place by the Colonial masters and are still being practiced today with little adjustment if any. In addition to these independent anglophone and francophone systems, efforts has been made to push for true bilingual institutions in Cameroon. Enrollment is very selective and graduates of such systems are truly bilingual, adding to the pride of the nation of Cameroon. One such institution is the highly acclaimed Government Bilingual Grammar School in Molyko Buea. The textbooks in use are constantly being revised for marketing purposes. Authors consists of Cameroonians, Nigerians, French and British with a few other Africans authors. The Ministry of Basic Education (Tel. +237 2222 5176 / Fax +237 2223 0855 ) which dictates state policies and programmes for basic education comprising of Pre-school and Primary (Elementary ) Schools in Cameroon. The Ministry of Secondary Education (Tel. +237 3222 1940 / Fax. 237 3222 2711) which dictates state policies on secondary and technical education, setting programmes and syllabi and assessments of secondary education in Cameroon. The Ministry of Higher Education (Ministerial Block No. II, P.O. Box 1457, Yaounde, Cameroon. Telephone: +237 3 222 1370; Fax: +237 3 222 9724) which monitors higher education institutes in Cameroon. Learn about the Cameroon British Anglo-Saxon education System. Find out more about the Cameroon FSLC, Cameroon GCE exams and Cameroon University by visiting this page. Learn about the Cameroon French Francophone education System. Find out more about the Cameroun CEPE, Cameroun BAC exams and Université du Cameroun by visiting this page. 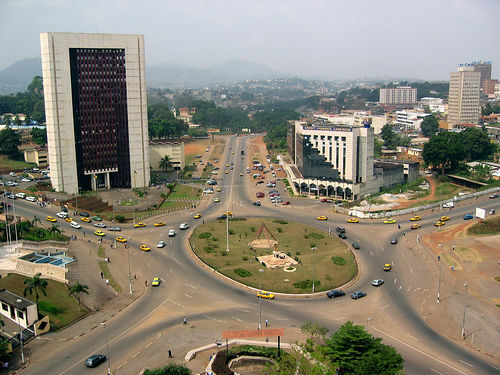 Building (to your left) of the Ministry Of Higher Education in the Capital of Cameroon, Yaounde, Cameroon. Which are the best Cameroon schools? Enter Your Title e.g Best Cameroon Schools. Click here to see the rest of the form and complete your Best Cameroon School submission. These Are Best Cameroon Schools Shared By Our Visitors. What do You Say? Cameroon Education - Schools in Camerooon, Africa.